Well, this was a hard one for me. I’ve helped plenty of people with their novels over the years, and while some of them were pretty close to the level required to get serious consideration in the publishing world . . . most were not. And to be honest, for most of the time I was providing beta reading for others . . . I probably wasn’t ready either. You don’t really know sometimes. (And sometimes even when you’ve had a success or two, you might secretly think you’re a hack and you’ll never get anywhere with anything else you write.) But the truth is? Nobody’s going to respond well to being told “you are very, very, very far from ready.” It’s just not a constructive thing to say. And believe me, the publishing world will be happy to say that to these folks without your help. And if you’re the writer getting some not-so-glowing commentary from someone whose opinion you’ve solicited, please don’t be insulted if they tell you you need more time with it, more practice, more editing . . . but at the same time, I beg of you. Please. Please. 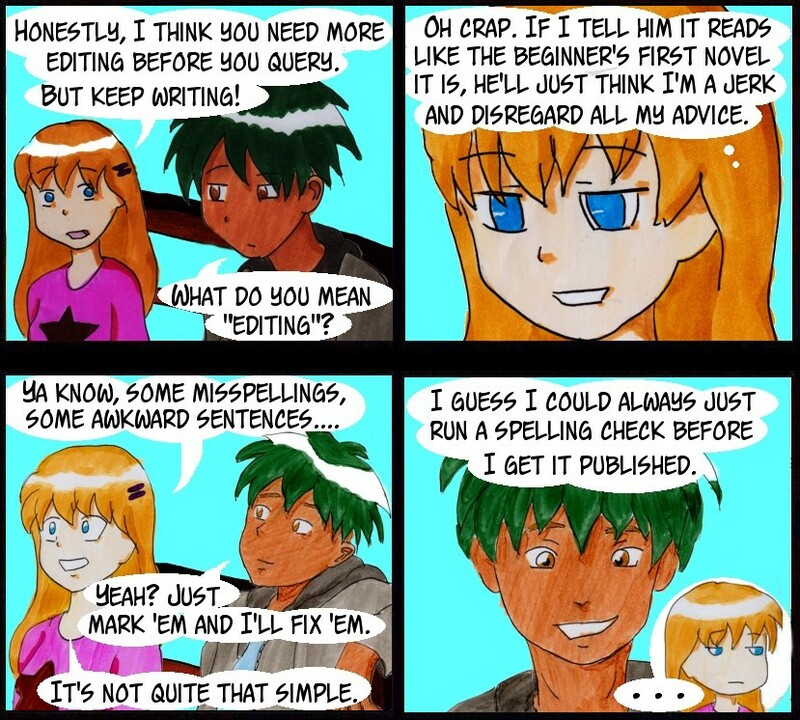 Do not try to jump into publishing with a first draft, and do not believe for a second that “editing” is just a matter of running your spell-checker. Yeah . . . . Critique circle could get like that sometimes–at least a few years back (it hasn’t happened to me lately). People throwing fits in message boards. Sending angry PMs to those that took the time to comment and review. I’ve self-published – back when I owned my own copy machine – but that was for fun and my own entertainment – I did entertain a few others. I know the difference between a driven writer with discipline, a voice, and something to say – sometimes I have amy own voice and even something to say – but I’d not ask for critique until I have at least 30 pages – and ecept for said copy machine – I never pushed that hard.